The accommodation comprises of entrance hallway with WC cloakroom, spacious lounge with stairs to upper landing and understair storage cupboard, large modern fitted kitchen with space for dining table and chairs and access to the rear gardens through French doors. 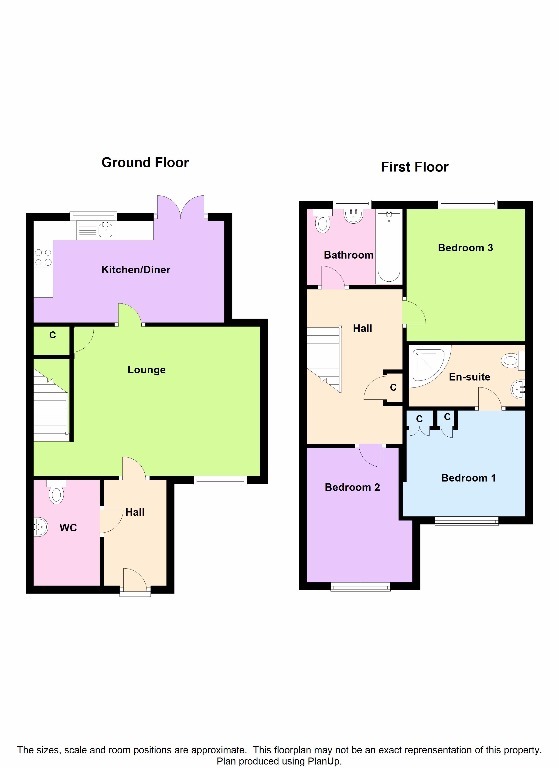 Upstairs there are three double bedrooms (Master with en-suite and triple built in wardrobes) and family bathroom. The property has laminate flooring throughout and neutral decor. There is a driveway for 2 cars to the front and low maintenance rear gardens with gravel patio and lawn area.